Some people are amazed when they learn that someone is a mechanical engineer. Being one is not easy since the hardship starts in college. The expectations are high once in the workplace. If you are interested in this field, you might find it helpful to read some insight on mechanical engineering work. Before one becomes a mechanical engineer, one has to undergo a long process. But once you are qualified you’ll surely reap the fruits of your labour. Mechanical engineers are looked up to these days, and there are a string of opportunities that awaits them in the industry. 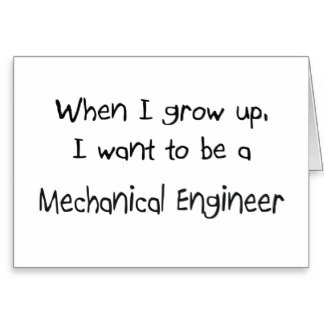 What it takes to be a Mechanical Engineer? Primarily, mechanical engineers are expected to be well-versed in multiple disciplines in science. This may include geometry, trigonometry, calculus, algebra, chemistry, physics and biology. The combination of these specific sciences is important to come up with innovative plans and creations for the public’s welfare. A normal working week of a mechanical engineer is at least 40 hours per week. They are normally faced with heavy workloads and tight deadlines. They can be assigned in the field or in the office depending on the needs of their current project. Mechanical engineers are considered genuine innovators as they enjoy solving highly complex problems. To qualify for this position, you need to be a graduate of a mechanical engineering course. A test may be required to be taken as well. Interestingly, the demand for mechanical engineers is projected to increase in the coming years. Top engineers can earn up to $90,000 annually which really is a huge amount. For you to become a genuine and sought-after mechanical engineer, you might need to pass a certification to demonstrate greater prospects for yourself and your employer. Since this field requires critical skills and intensive hands-on training, the employers initially assess if you really understand the field that you are in. There should also be a definite yardstick to check if the student has learnt things that are important in the field such as mathematics, lab training and computer training. Certifications are often a requirement in most engineering posts. Below are some tips to help pass the mechanical engineer certification. There is no need to memorise everything. You just need to refresh your memory on the theories and concepts that you discussed in line with your course. Reading them frequently helps you understand the topics more easily. Do not put too much pressure on yourself as this doesn’t help. You don’t need to ask them the actual questions asked as they may not be able or willing to share those, rather ask about the style and structure of the exam. You may ask them about the particular subjects that the mechanical engineering exam focuses on. These are basic tips to pass the mechanical engineer certification. You would not find it very hard if you truly understand the field you are in. Basically, this certification serves as an affirmation that you are ready to practise the profession. There should always be a set of standards for practicing mechanical engineering—or other engineering fields–as they have great roles in the development of the society as a whole. Complexity of a mechanical engineer’s workload often discourages some people to pursue this career. However, it is obvious that hard work in this field would eventually pay off.